The Greener Gloucestershire Festival is happening at the University of Gloucestershire, Park Campus, Cheltenham this weekend from 12pm – 5pm! Come along and join the celebration of all things sustainable in Gloucestershire – from local community initiatives and projects to local beer and face painting. The festival aims to find out more about putting sustainable living into practice, with advice, information and support from many local experts, as well as interactive talks and discussions on topics such as G.M., carbon reductions, faith and sustainability and communications skills for effective sustainability. Stall holders from across the county will be selling their local produce and sharing their green initiatives and campaigns. This looks to be an eclectic event with delicious food, local cider and ale, and music from local bands including UkesAnon and Talis. 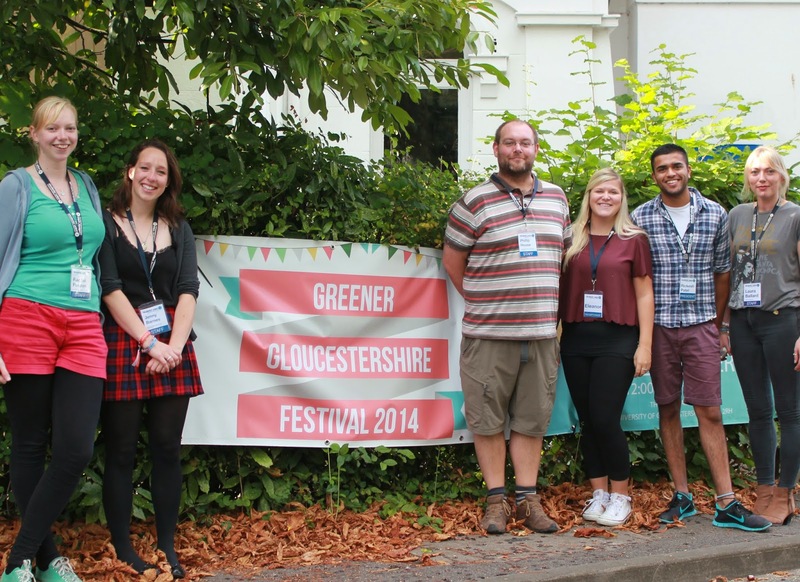 Greener Gloucestershire is a partnership between Gloucestershire Local Enterprise Partnership (GFirst LEP) and the University of Gloucestershire Students’ Union, and aims to enhance the student experience while they live and study in the county. The project was funded by the Higher Education Funding Council for England (HEFCE) backed National Union of Students (NUS) Students’ Green Fund. Groups who will be present at the festival include Global Footsteps, Vision 21, Transition Towns, Allotment Society, Zero Carbon Britain RSPB, UOG Beekeeping Society, Sustainable Direction Ltd, Gloucester Bike Project and many more! Greener Gloucestershire an independent group not affiliated to the Green Party. We support them because we share their green vision for a better future. We are glad to host news, press releases, events and announcements from any group, organisation, charity, or business that share our aims and beliefs.